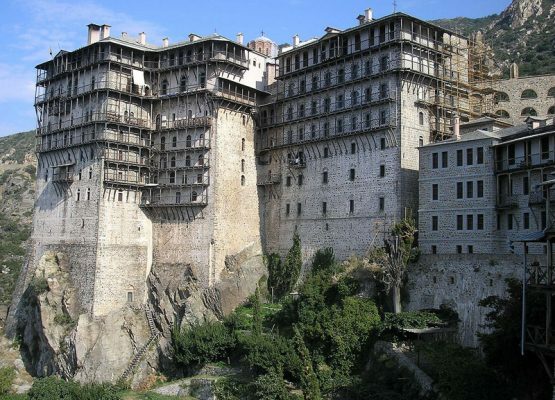 The monastery was founded, according to tradition, in the 10th c. by three brothers, Moses, Aaron and Ioannis from Achris. In the Late Byzantine period, the monastery is destroyed by Catalan pirates and rebuilt with the financial support of the Paleologan dynasty, as well as that of rulers of eastern Europe. 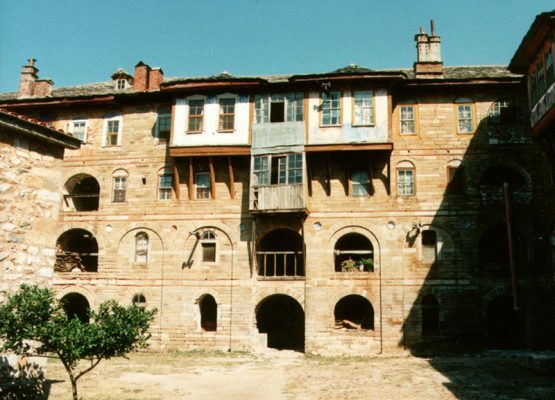 Initially, the monastery was inhabited by Bulgarians, Greeks and Serbs. 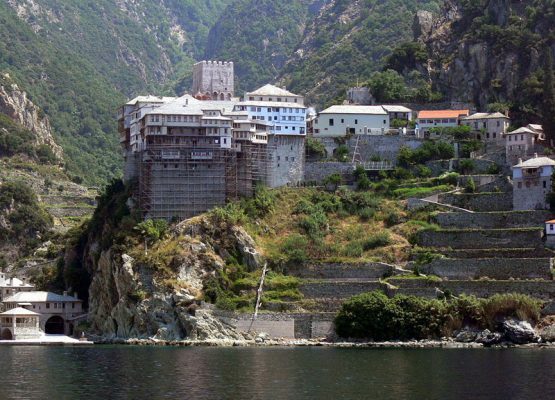 Since 1845 there are only Bulgarian monks. 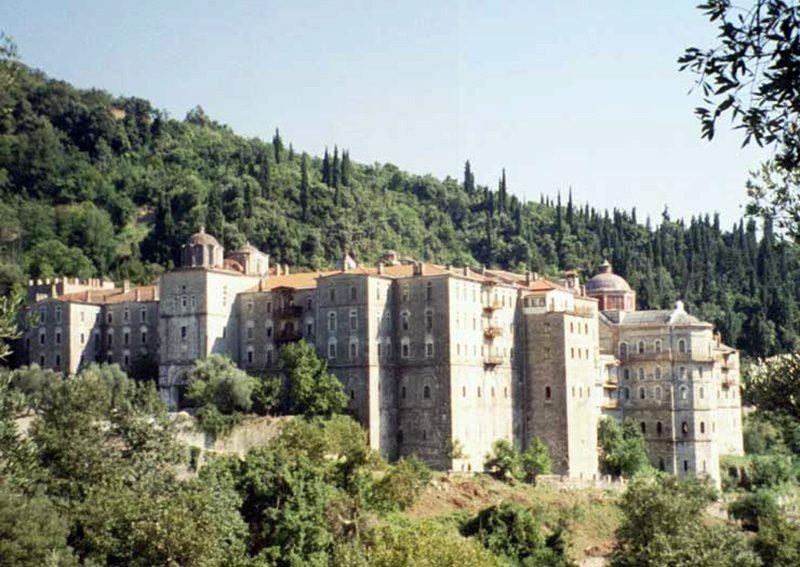 Besides two miraculous icons of St George and other two of the Virgin of the Akathistos and the Virgin Epakouousa, the monastery owns and other heirlooms and ecclesiastical vessels. The library contains 126 greek and 388 slavic manuscripts, and over 8,000 books.